Fashion opens up a world of color, and its vibrant spirit is perfectly embodied in this choker. Turquoise adds that extra special something to take your look to the next level. 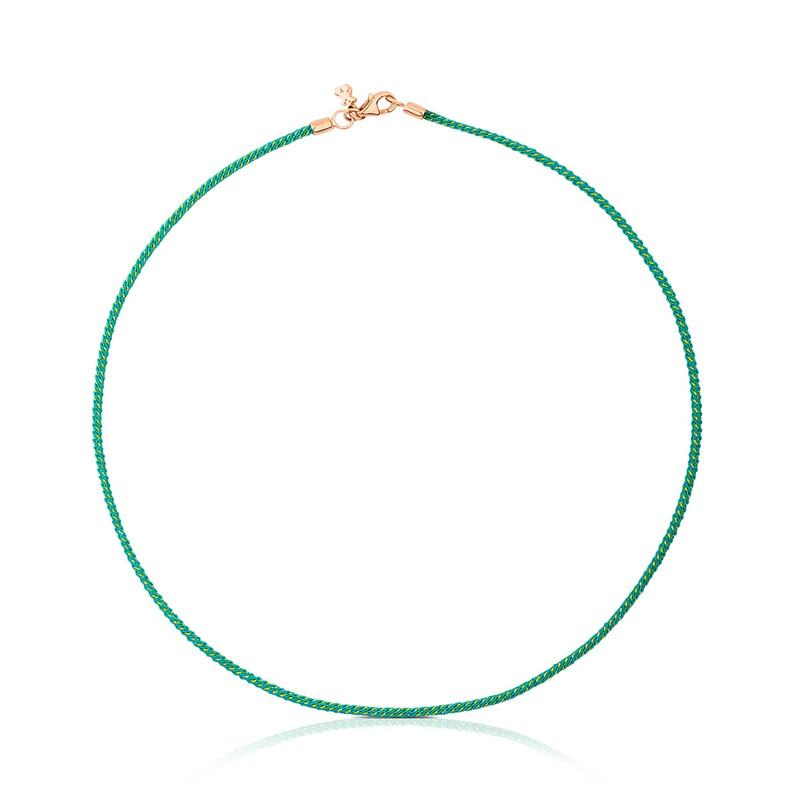 TOUS Choker in rose vermeil silver and grey cord. Length: 40 cm. Vermeil: Sterling silver plated with a layer of 18kt rose gold.